When gold was discovered at Bannack in 1862, miners and businessmen swarmed the remote area. At its peak, the town had approximately 10,000 residents. So, when Montana became a United States Territory in 1864, Bannack was designated its capital. By 1865, however, gold strikes elsewhere had caused the population to dwindle and the territorial capital was reassigned to Virginia City. 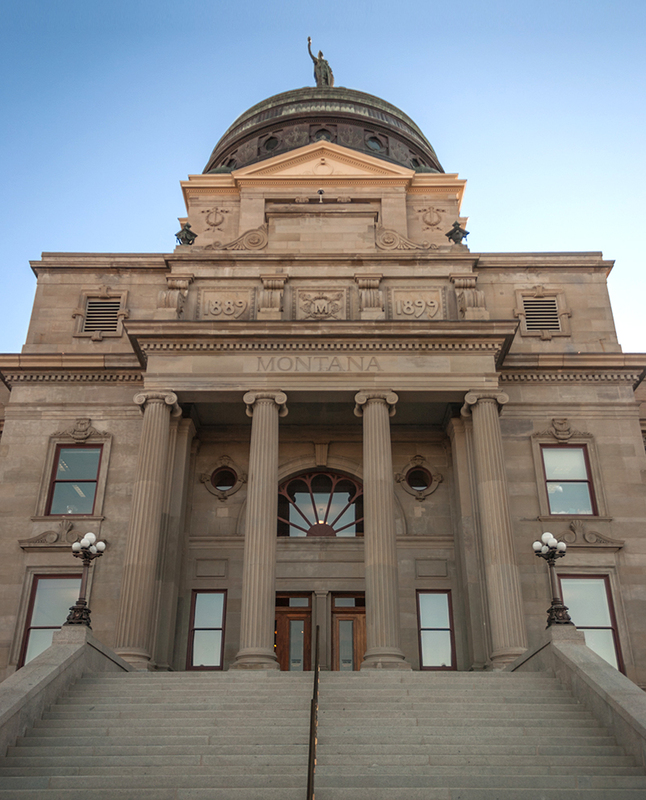 On November 6, 1894, more than 57,000 ballots were cast to determine Montana Territory’s permanent capital. Marcus Daily, who founded Anaconda, campaigned for his city to become the territory’s headquarters. Meanwhile, William A. Clark, a politician and entrepreneur, championed Helena in the election. Helena won by roughly 2,000 votes. In 1896, an architectural design competition was held to determine plans for the Montana State Capitol building in Helena. Architect George R. Mann threw his hat in the ring, drafting a powerful design similar in style to that of the United States Capitol. This design was selected the winner by the Capitol Commission, but the design would never come to fruition, for it was discovered that the commission was planning to embezzle funds. The commissioners were stripped of their duties and replaced, and the new Capitol Commission deemed Mann’s design too costly. It was thrown out and a second competition was held for the Capitol’s design.